Some walnuts for sprinkling on top. 1.Grease and line an 8 or 9 inch baking pan. 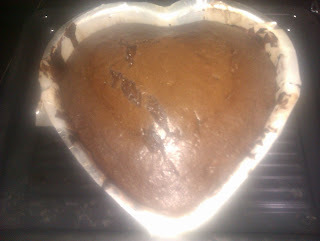 I used a heart shaped cake tin and lined it with baking paper. 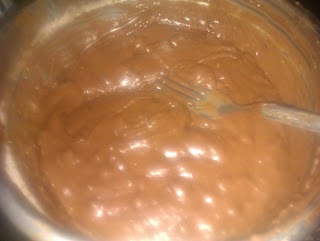 One can line with a foil and grease it and sprinkle some cocoa/ flour on it too. 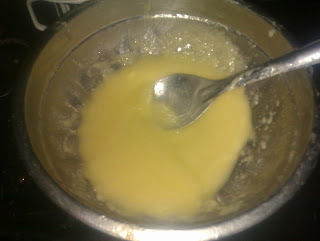 2.Cream butter with sugar, then add eggs one at a time and beat until well incorporated. 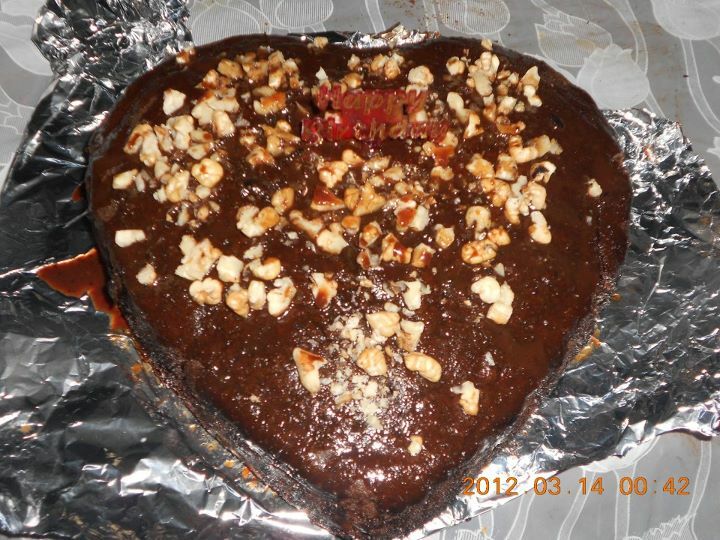 Or else one can cream them using a electric mixer to save time. 3.Sieve flour with cocoa, salt ( if unsalted butter), vanilla essence and baking powder. 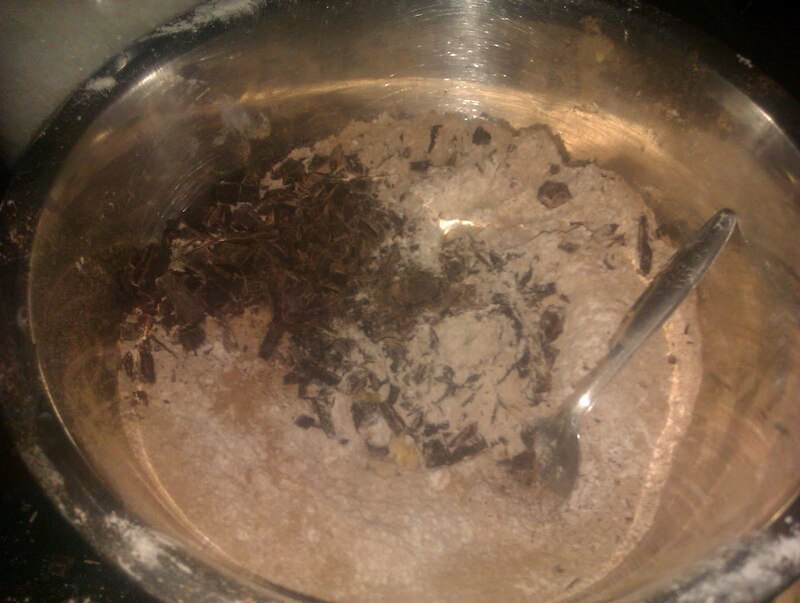 Gradually add flour and milk in three instalments, mixing until just incorporated, do not over mix. 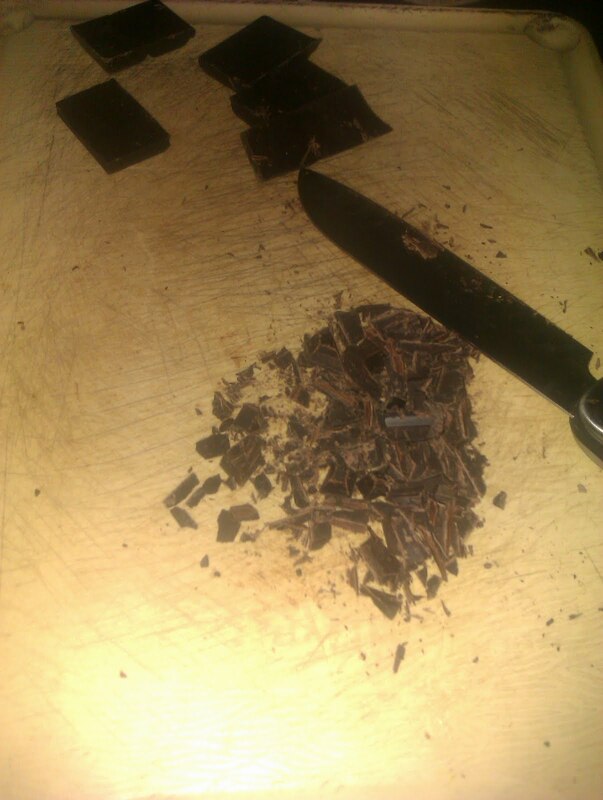 Add the chopped chocolate and nuts. 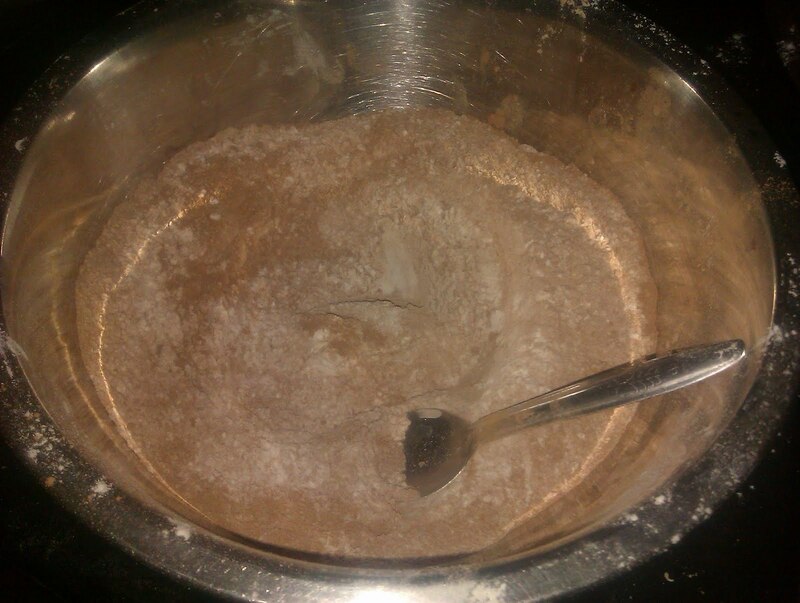 TIP: Dust the nuts and chopped chocolate in some flour before adding them to the batter. This will help prevent them from sinking during baking. 4. 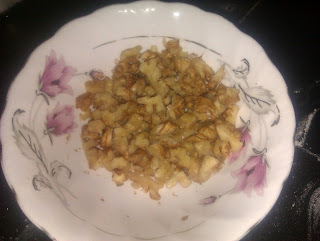 Fold gently and pour batter into prepared pan. Heat the margarine until it melts, keep the heat on low. Sieve the icing sugar with the cocoa together, then add this into the melted margarine. 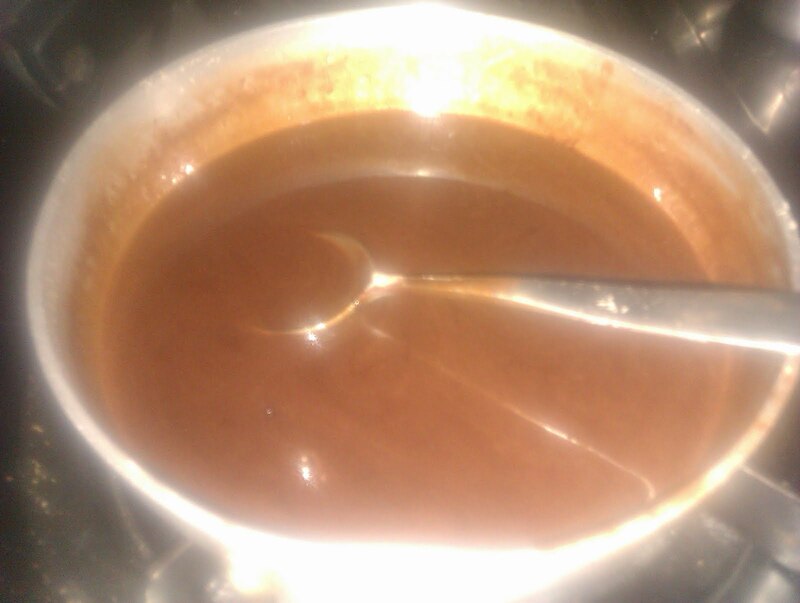 Stir together, then slowly add milk a teaspoon at a time. 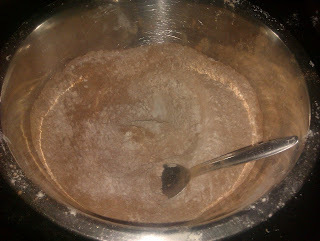 You will need about 5-8 tsp so just have a bowl of milk next to you and keep adding and stirring until you reach a smooth consistency. 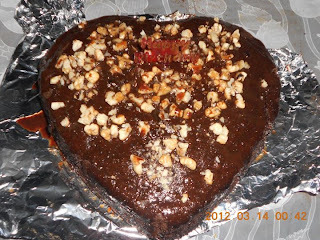 Note: cakes crack due to overheating so keep temperature less if your cake cracks....also bake in the middle shelf to avoid burnt crusts.